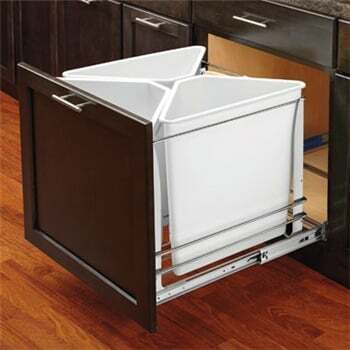 OVISonline.com offers the Rev-A-Shelf recycling center pull-out waste containers. 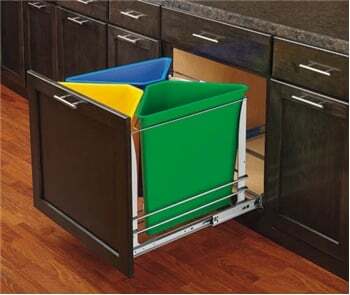 Finishes & Colors include: all white & multi-color coded bins. 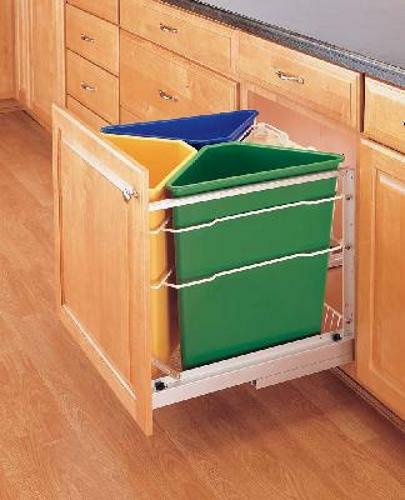 These have 4 bins for separating you recyclables. Soft Close undermount slide are standard on this model. 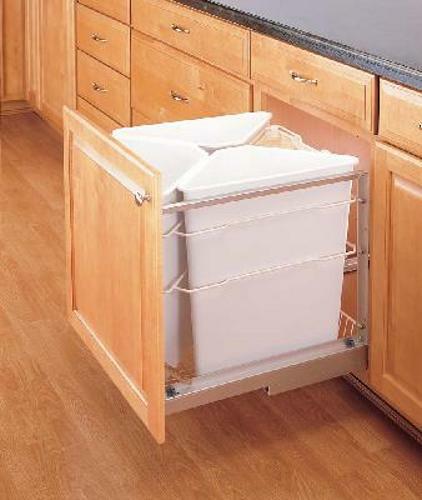 The Premiere Waste Management System is the necessary Trash Can solution for the environmentally conscious. Four divided sections including three large polymer containers for plastic, glass, metal, and a canvas bag for paper. The Soft-Close Recycle System is the necessary Trash Can solution for the environmentally conscious. Four divided sections including three large polymer containers for plastic, glass, metal, and a machine washable canvas bag for paper.